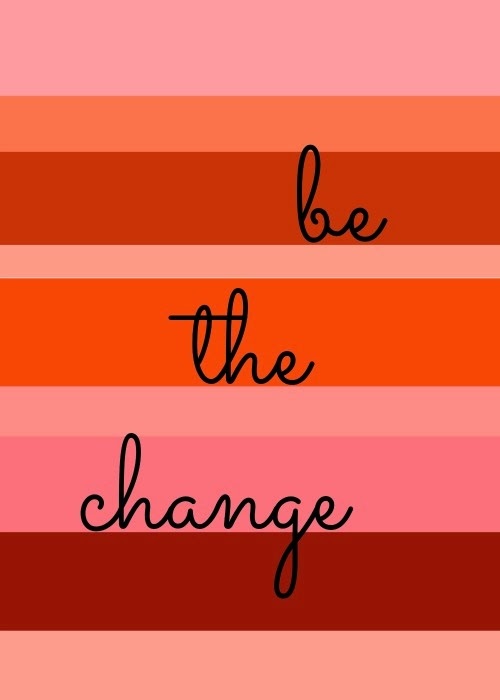 Today I'm linking up for Blogtober to share my favorite quote, "be the change you wish to see in the world." I think I've mentioned this is my favorite quote before, but I don't think I've ever really explained why I love it so much. To me this quote is all about empowering yourself. It's about taking charge of everything in your life. If you don't like the way something is, you need to act to change it. Just because you are one person doesn't mean you can't make a difference. The biggest change I wish to see in the world is for more kindness. Because of that I always try to remember the golden rule and treat everyone the way I want to be treated. Great quote; it's so meaningful and every time I see it, it makes me think.